Self-driving car usage, designed around you. 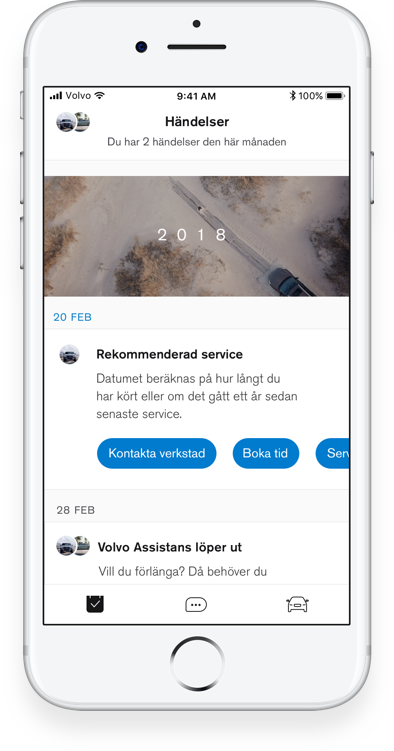 My Volvo, an assistant that connects your Volvo to all available data and Volvo’s top of line service staff. 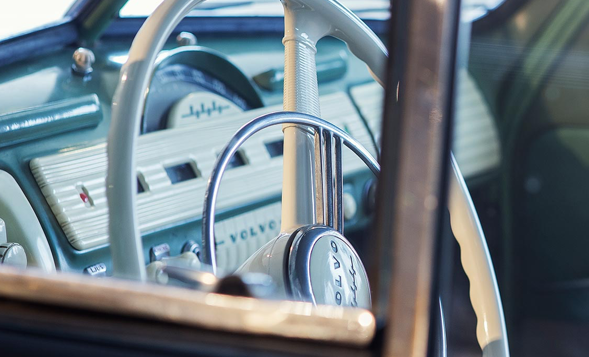 Automating and aiding every annoyance in your car ownership. 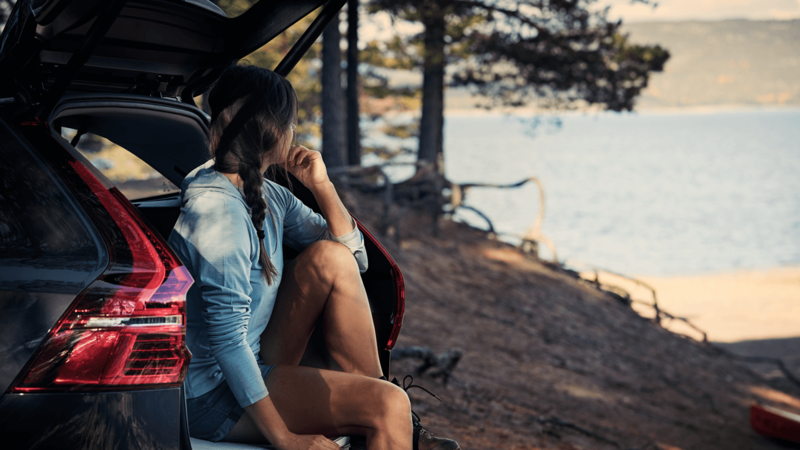 A car should be the ultimate symbol of freedom, giving you access to the open road and a carefree lifestyle. Today that seems like a distant dream. 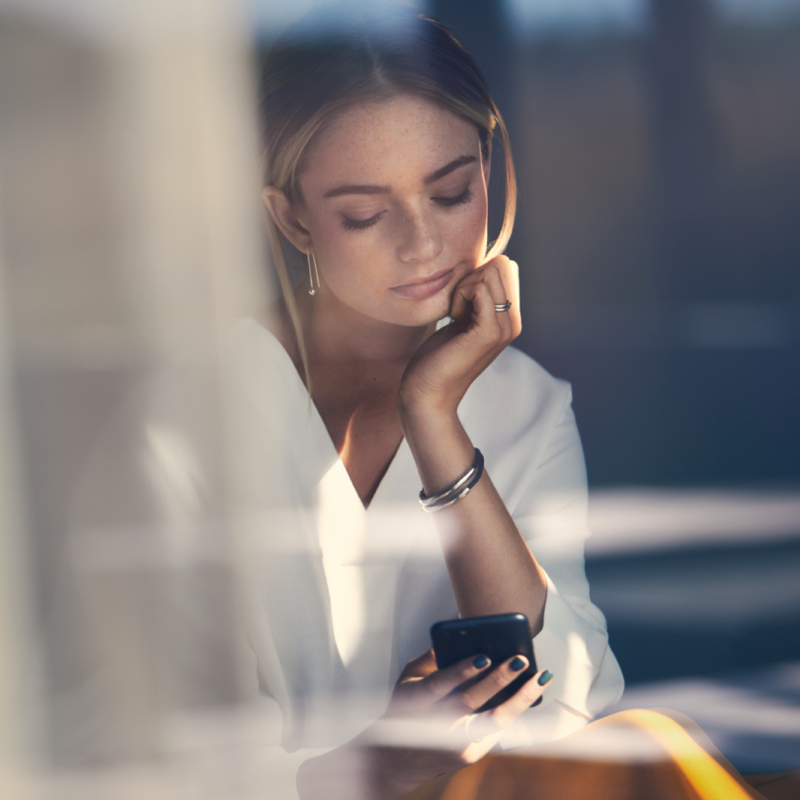 Nowadays you have to keep track of software updates, complicated tax regulation, service requirements… the todo-list goes on. It shouldn’t have to be this hard. If cars are becoming self-driving, so should owning and using a Volvo! tech-position, innovation and long history, we have the tools to make this a reality. 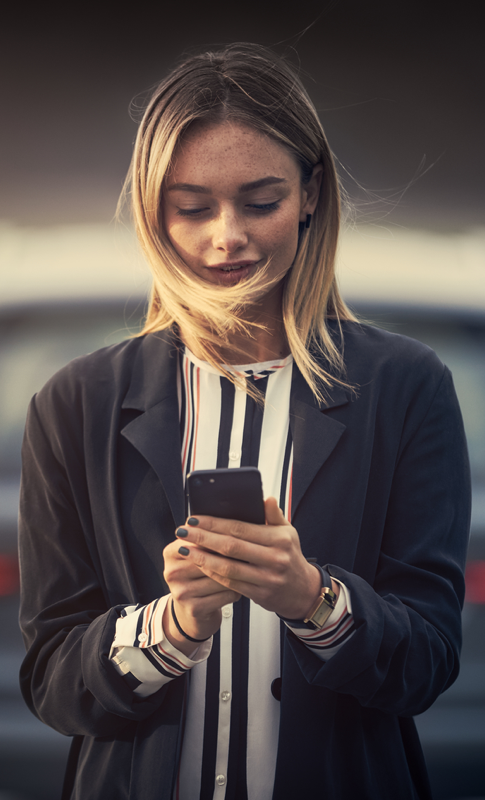 That’s why we built a smart assistant that connects your Volvo to all available data and our top- of- line service staff – thus automating and eliminating every annoyance that goes with car ownership. 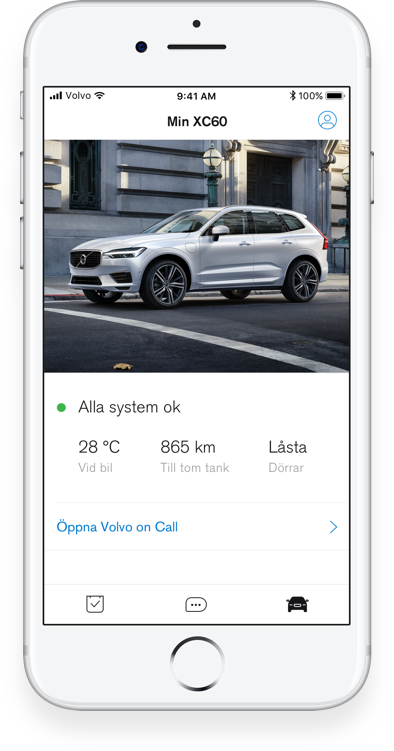 My Volvo keeps track of everything, from costs to service bookings, taxes to-, trip logging, a up-to-date status of your car and much more. 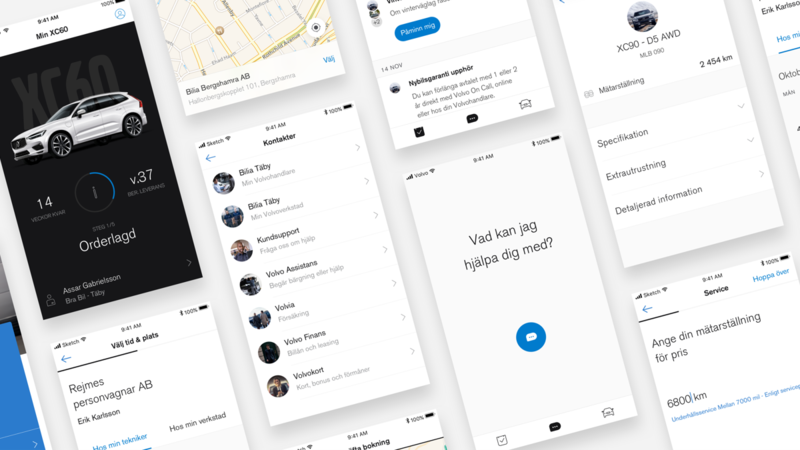 Drivers can see what lies around the next corner, be reminded of what they need to do today, and have their personal technician waiting – all within a single app. 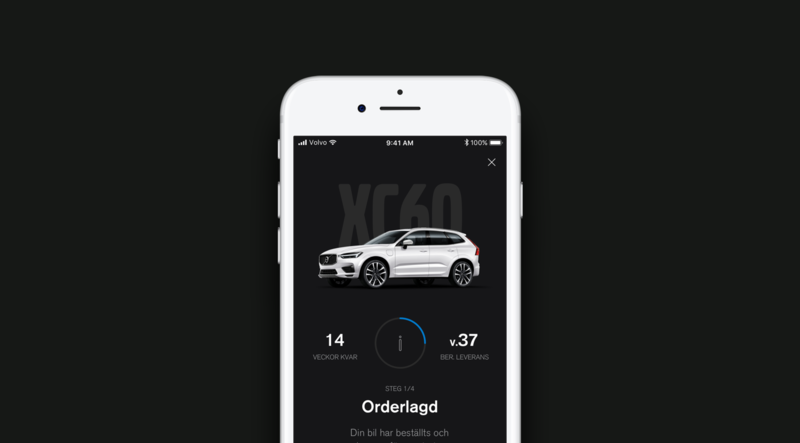 Thousands of Volvo owners signed up before the app was even launched. As soon as the service hit the market, the number of downloads pushed the app on to the AppStore topplist in lifestyle. 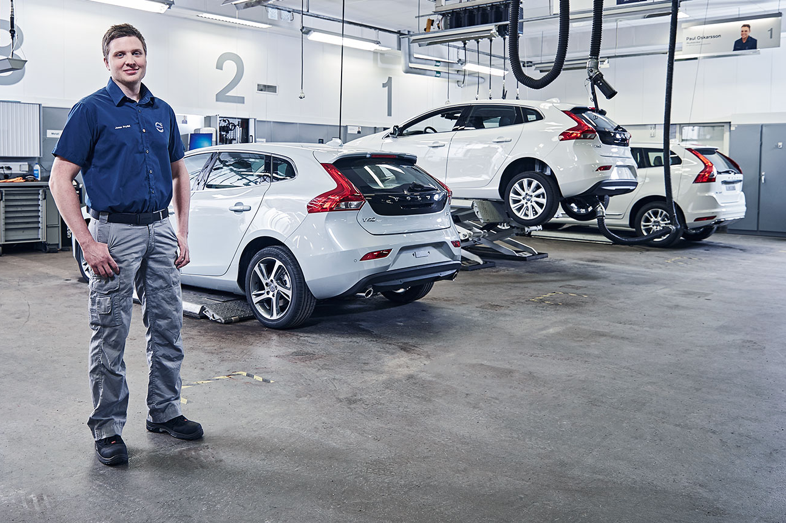 MyVolvo have clearly struck a nerve amongst Volvo’s customers - and yet, this is only the beginning. We strive for a future where the assistant takes care of “everything”, you should be able to enjoy the freedom of mobility! 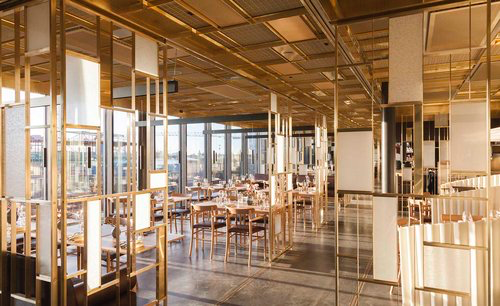 Den nya appen Maîtres ska ta dina restaurangbesök till en ny nivå. 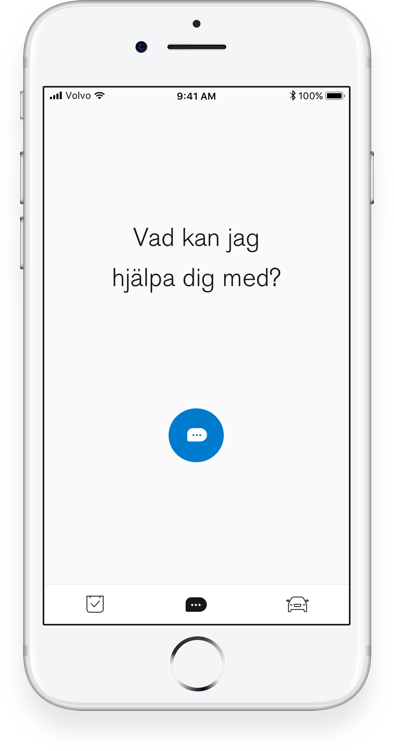 Med appen slipper du sitta och vänta på notan – och kan dra direkt när du ätit klart.block.